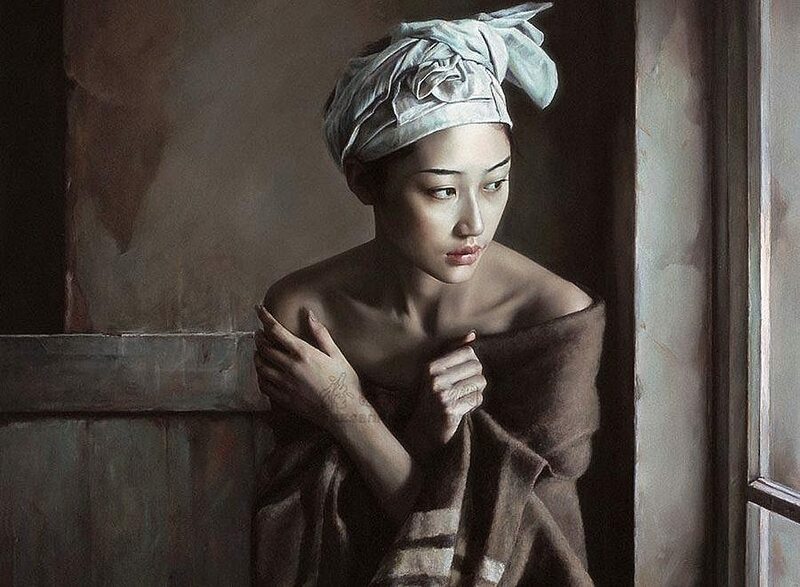 Li Wentao (李文涛) was born in 1967 in Beijing and studied in France. The subjects of his paintings are lone female figures, sitting in unidentified rooms. They are always barefoot and not fully dressed, and their body language – hunched over, curling into themselves – evokes a sense of longing, fragility, and a melancholic sensuality. Li paints in muted, cool-toned colors that wash over his scenes with tranquility. It is the figure, staged in the center of the piece and rendered in photorealistic detail, that commands our full attention. While in Paris, Li was fascinated by the sunlight that passed through the windows of famous churches, and appreciated both the brightness of the sun on his face and the solid shadow behind him as a metaphor for the journey of life. The expressions of the figures are composed and their gazes almost apathetic, certainly not pleading for us to understand or help them; yet maybe it is because they do not ask for our attention that we are so enraptured by their presence and interested in their stories. We ask ourselves: Who is she? Where is she looking? Who or what has captured her attention? But the figure is stuck in the stillness of the painting, unable to answer our questions. When I look at Li’s work, I am left wondering about the woman’s story, which cannot ever be revealed. How do you feel when you see these pieces? 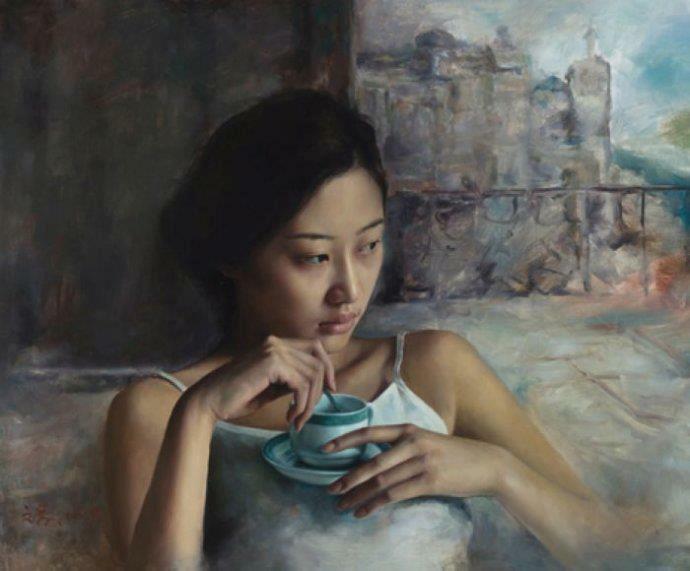 Li Wentao's figures are always barefoot and not fully dressed, and their body language – hunched over, curling into themselves – evokes a sense of longing, fragility, and a melancholic sensuality. Love this! Descriptions are on point and accurate!